Experience Alaska's resilient interior as well as the spectacular coast on this independent twin-centre holiday. From the secluded Winterlake Lodge near the Tordrillo Mountains, south of Denali National Park to the remote Tutka Bay Lodge which sits at the entrance to a splendidly rugged seven-mile fjord near Homer, this itinerary offers a true Alaskan adventure. 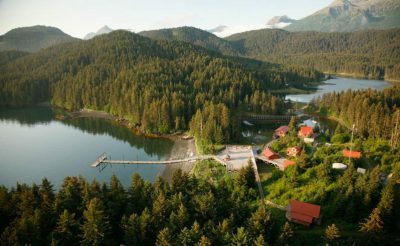 This holiday blends two of Alaska's most remarkable lodges and offers a plethora of activities from walking, hiking and canoeing to berry picking, bird watching and fishing. Both properties offer cooking classes and cheese and wine tasting along with yoga classes, use of the hot tub and a complimentary massage (one per person per stay). 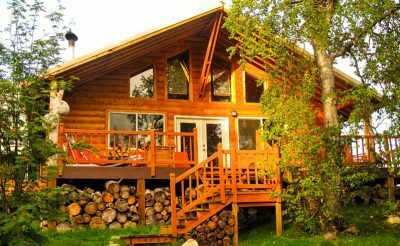 Winterlake Lodge offers five guest cabins, nestled along a mile-long lake that is home to loons, swans, bears, moose and arctic grayling. Guests can enjoy opportunities for hiking and wildlife viewing with many species of Alaskan birds often seen nearby, as well as a variety of wildflowers and berries that are rarely seen. 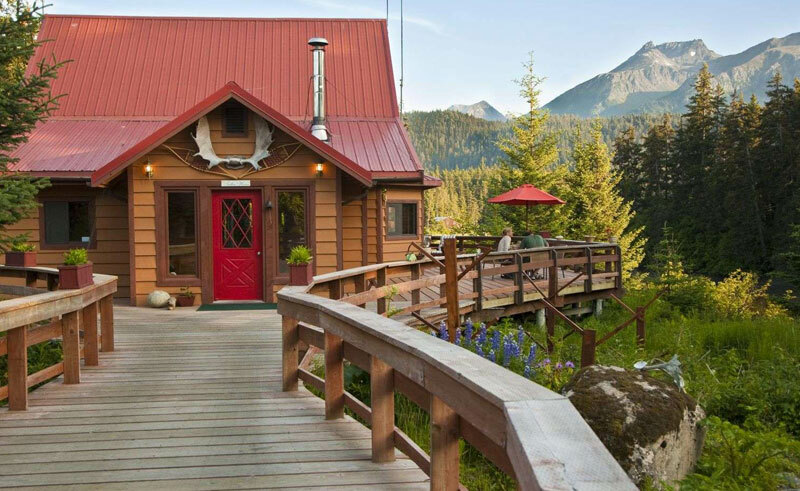 Situated on an eleven-acre property, Tutka Bay Lodge offers a main lodge, six private guest accommodations, a sauna, hot tub and boat house – all connected by boardwalk. The lodge offers an array of activities to introduce you to the Kachemak Bay marine community. In addition to tide-pooling and other marine-based activities, guests can often visit the nearby villages of Seldovia and Homer for art galleries and cultural exploration. Guided adventure activities include deep-sea fishing for salmon and halibut, freshwater fishing, ocean kayaking and hiking the unique trail system. Depart Lake Hood in Anchorage for a scenic one hour flight by floatplane to Winterlake Lodge. On arrival you will be met by your lodge hosts and after an orientation at the lodge you can plan your daily activities. Choose from narrated walks, hiking, canoeing, kayaking or wild bird watching. Alternatively, other activities include cooking classes, berry picking, cheese and wine tasting or yoga classes. Today you'll experience a day-long adventure outing via our Robinson R-44 helicopter to Canyon Creek for fly fishing or explore the Tordrillo Mountain area for glacier trekking and hiking. 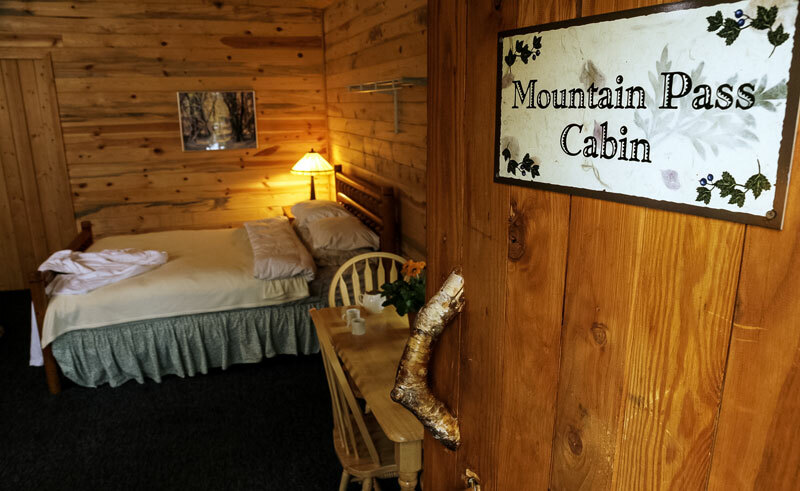 After dinner, relax in the hot tub or enjoy the wood fired sauna. Today you'll take a scenic floatplane transfer to Tutka Bay Wilderness Lodge. After your orientation you are free to enjoy this beautiful lodge and surrounding area. Activities are aplenty; enjoy sea kayaking, paddle boarding, sport fishing or tidal-pool exploration or join the nature trail hiking through old forests. Spend your day bird-watching or wildlife viewing or hike the Kachemak Bay State Park Trail System. Later in the day you can enjoy a cooking class or wine tasting session or relax in the sauna and hot tub. Today you can choose from either a Deep Sea Fishing Excursion in search of saltwater fish such as halibut, cod and salmon or a Bear Viewing Excursion into the famed Katmai area. After breakfast, catch the water taxi back to Homer and Ravn Alaska jet flight back to Anchorage. Your journey ends here. Tutka Bay Lodge sits at the entrance to a splendidly rugged seven-mile fjord at the southern end of Kachemak Bay, near Homer. Situated near the western edge of the Alaska Range, Winterlake Lodge offers seclusion and spectacular scenery, in the southern boundary of Denali National Park.